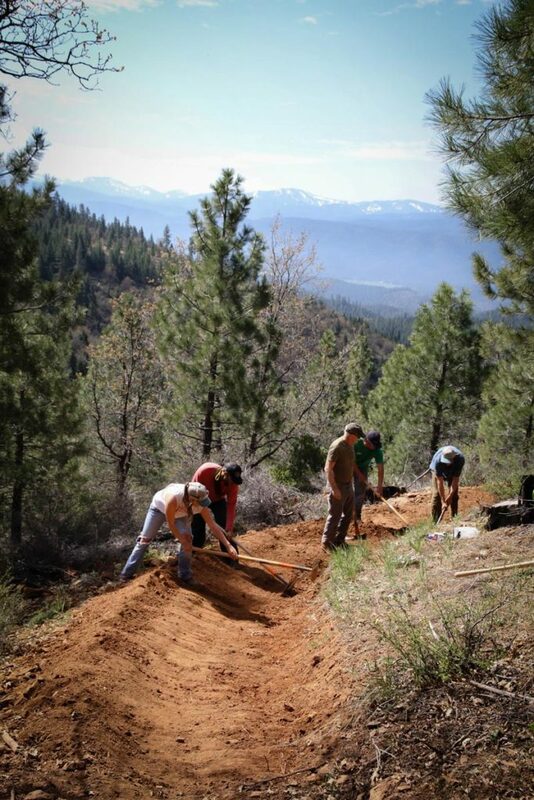 SBTS is applying to CA OHV for funds to complete ground operations on the Downieville Trail System. For more information on project check out ca.ohv.gov or contact Mandy at mandy@sierratrails.org. Starting March 5th, 2019 you can review and comment on project proposals here. We have extensive experience and an arsenal of equipment, for working on everything from motorized OHV trails, to hike/bike/horse multiuse trails, to Pacific Crest Trail, to wilderness trails, to flow trails and even ADA accessible pathways. And we’re available for hire in the off-season. If nearby Downieville is home to one of the state’s best known downhill runs, Mt. Elwell, in the Northern Sierra, might have one of the country’s best-kept secrets. Annual and Core Memberships – Join us! 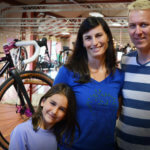 Another source of funding has come through a dynamic partnerships with Santa Cruz Bicycles and Ibis Cycles. These amazing companies have helped us spearhead multiple $5 Bucks A Foot campaigns, raising over $170,000. How do we get the job done? The work gets done through a combination of our professional and locally hired Trail Crew and dedicated hard-working volunteers. 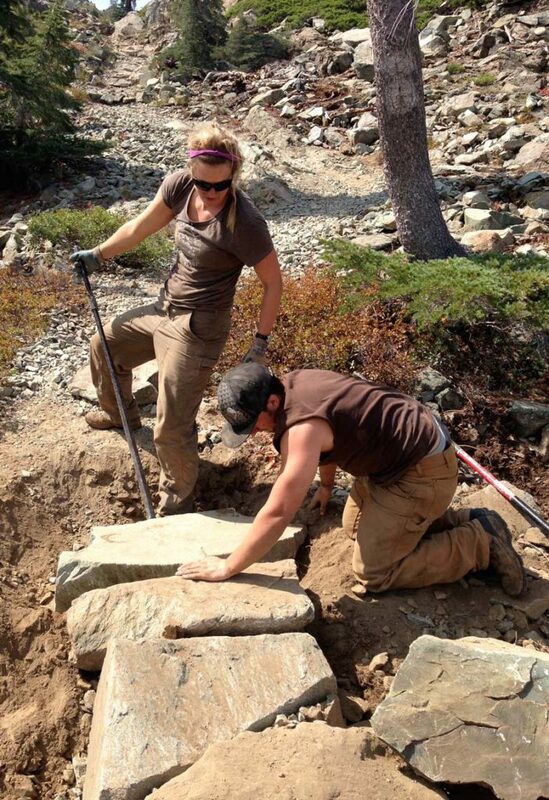 SBTS produces 10+ organized volunteer trail workdays each year with work locations in the Plumas and Tahoe Forests. These Trail Daze events average 35 volunteers per workday, and we’ve had over 200 volunteers at our larger trail work events. 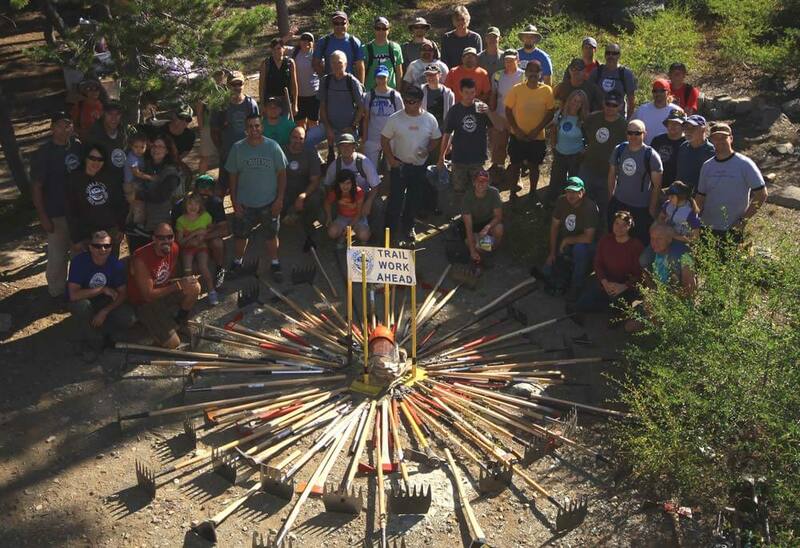 To date, we have generated over 60,000 volunteer hours on local trails. Getting Ready To Get After It! 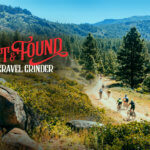 There’s carnage all around but somehow the trail is the perfect mixture of rock and root of just the right severity… Mt Elwell is a different art, a wilder beast.